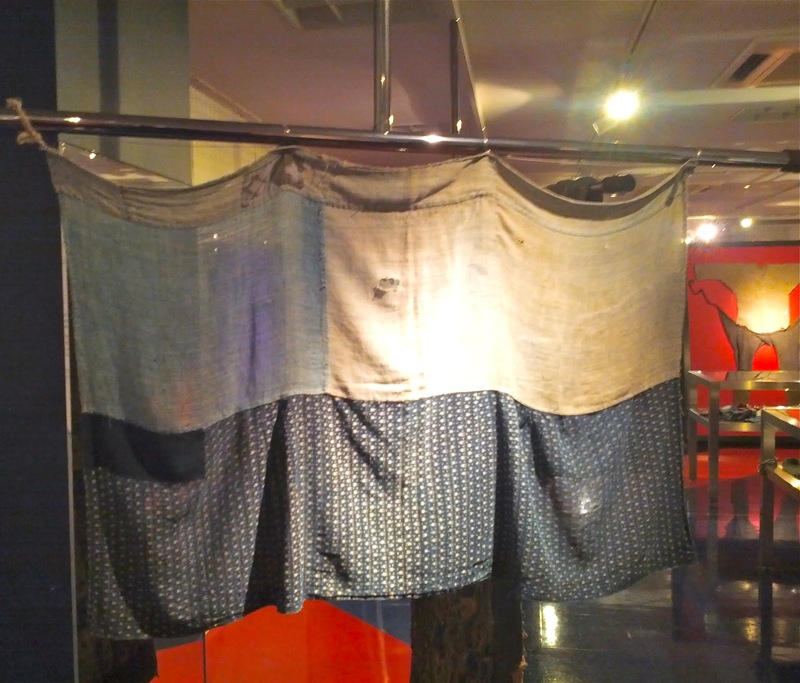 Yesterday I went to see an exhibition of Japanese shabby textile. That's exactly what boro means - shabby. Boro was made of scraps of hemp fabric and worn mainly by peasants during Edo to Meiji periods in Japan. Imagine women keeping every scrap of fabric to make clothes and pass them to another generation?! Not a tiny bit of hemp was wasted; everything was good for a garment. 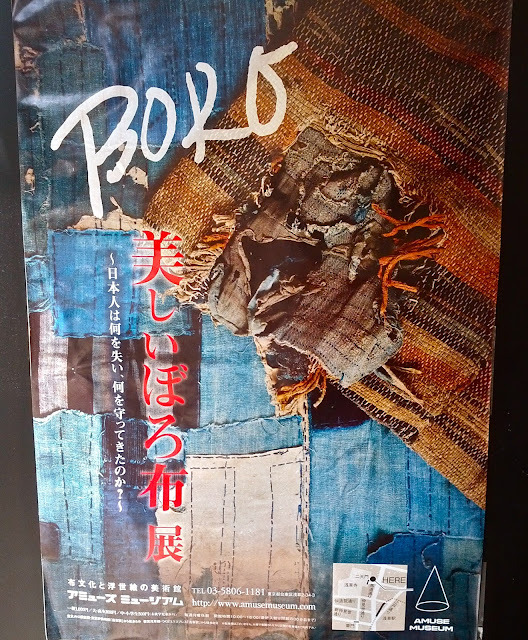 That's the story of Boro; regular clothes from very poor Japanese families are today considered to be a form of art and national treasures. Possession of scraps of fabric provided one's social status and wealth. Women who had over thousand scraps were the subject of great envy. Only last week I threw away ... how many... a hundred scraps maybe? 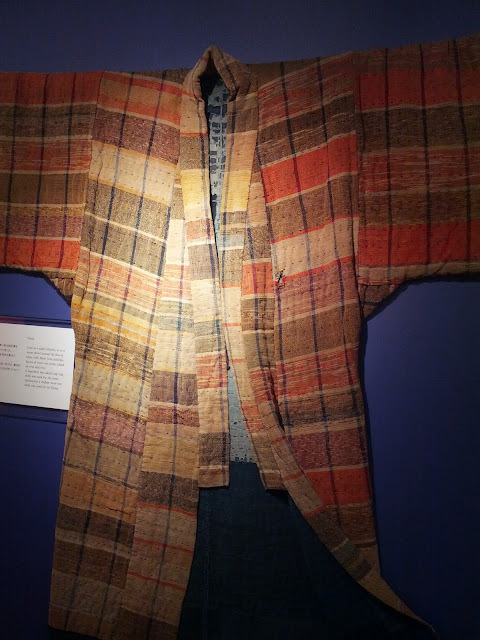 The coat pictured below fulfilled the role of a blanket. An entire family would cover themselves during the night. People used to sleep naked not only because they had nothing to wear, but also to form a kind of human "radiator", drawing on each other's body temperatures to keep everybody warm. Considering the size of Japanese people 200-300 years ago, three or even four family members could easily be covered by these donja. The sleeping coat was literally keeping people together: people would not fight with each other knowing that they would spend a night hugging each other. In a way, I find this idea very cute! 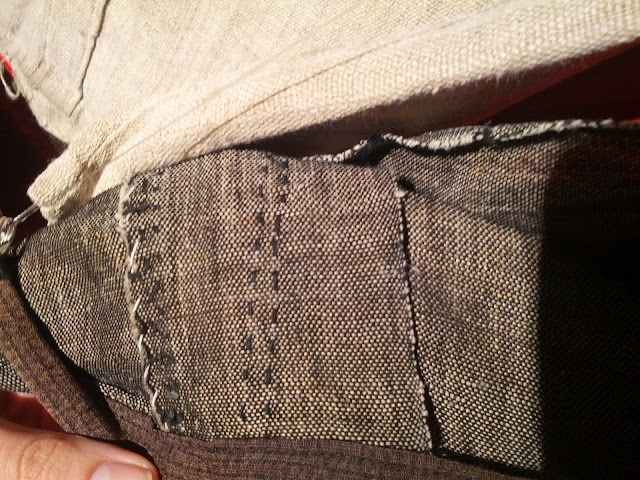 Even Japanese traditional shoes, tabi, were made with scraps of fabric. This rare piece is in fact female underwear. Women, often ashamed of keeping such an intimate item for too long, often disposed of them instead of passing them down to the next generation. The top part of the underwear is made from very simple and plain fabric. 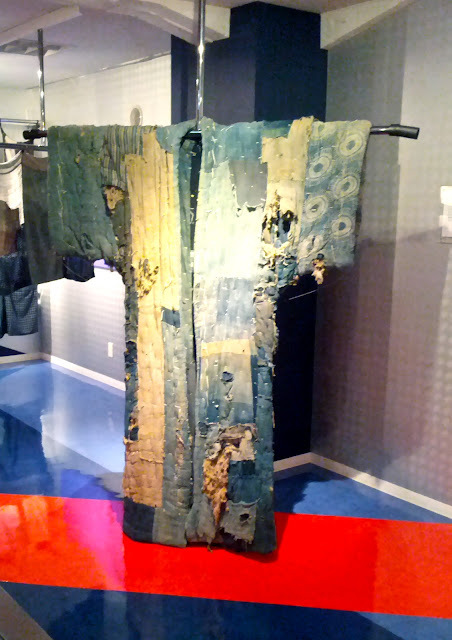 Women tried to save the most beautiful piece of fabric for the bottom part, because it would be seen under their kimonos. These cute quilted pieces are diapers. 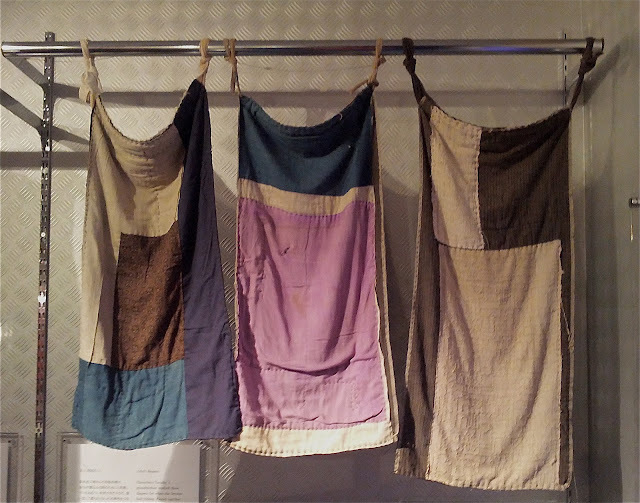 Unlike the underwear, they would have been used for many babies Would you like to wash diapers by hand in cold water?! Guests were treated with great respect and the hosts spared the most beautiful donja for their guests. 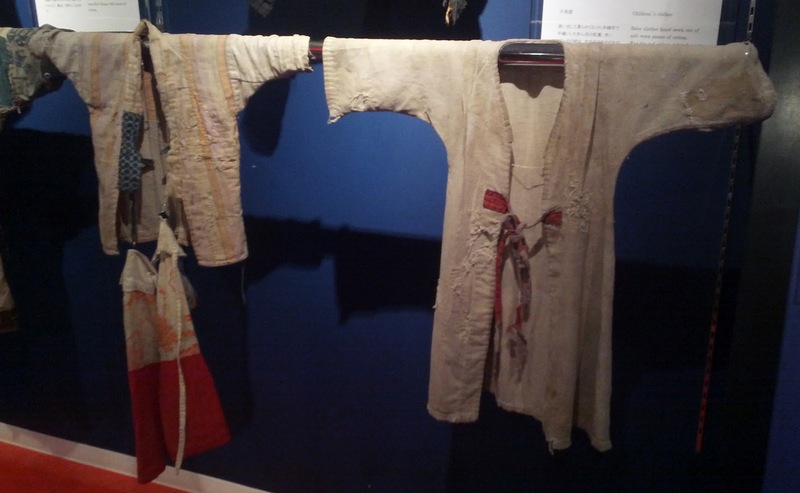 People visiting the exhibition were allowed to touch the clothes. I took a close-up shot of this pair of trousers. 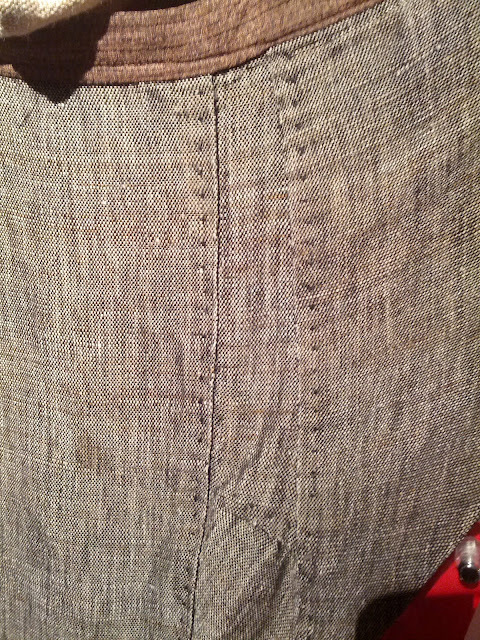 Look at those stitches! Don't they remind you of something? Exactly! The prick stitch and the catch stitch! 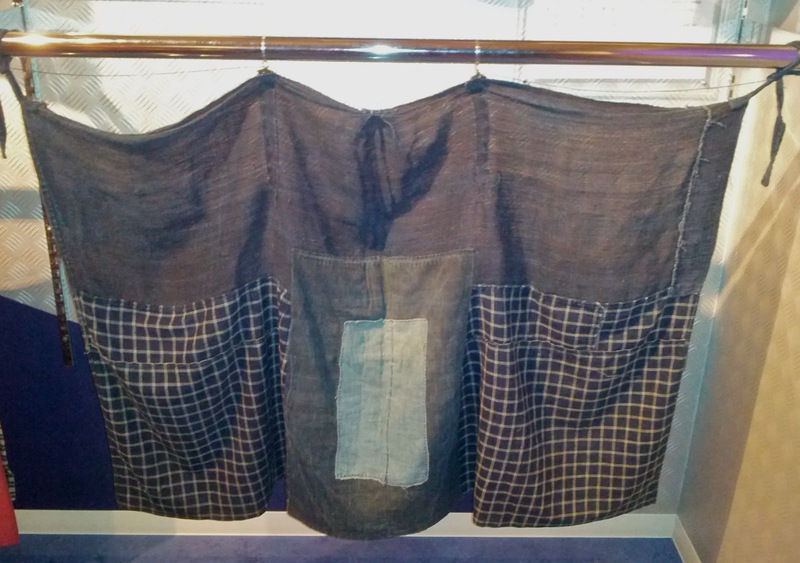 Japanese women knew something of couture sewing! The older generation in Japan often say "Mottainai!" which means "Too good (to be thrown away)." After I left the exhibition, I thought about how many things which were still good to use I have thrown away; how many useless things I have bought, and how many scraps of fabric have I wasted? 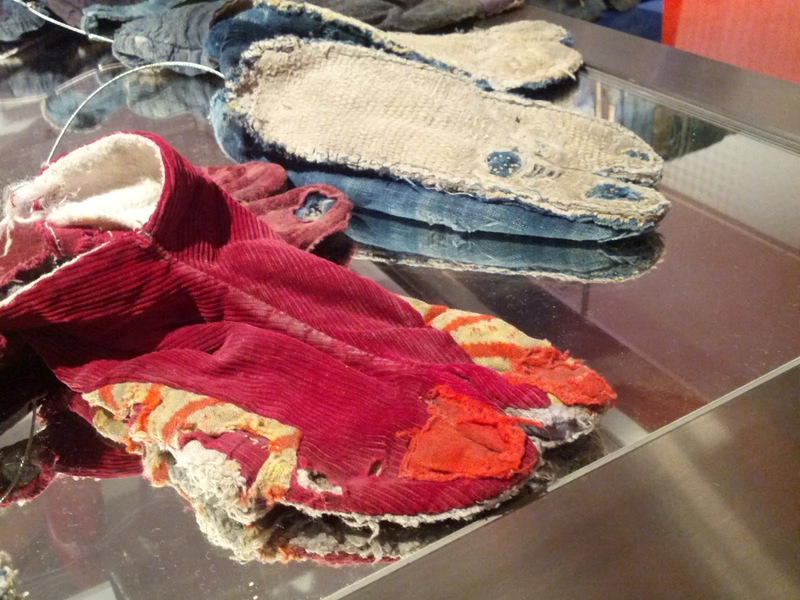 What's the most innovative recycled garment you've seen? What an interesting exhibit! Thank you for sharing! I agree with Beth what a fascinating exhibition to go to.Really unusual that you were actually allowed to touch the exhibits too.Amazing also that these garments have managed to survive all that wearing and washing...just proves that they were respected and looked after and makes me more ashamed of our throw away culture and obsession with the new and fashionable.Thanks for sharing! Thanks for this post! You've spurred me to find out more about this. 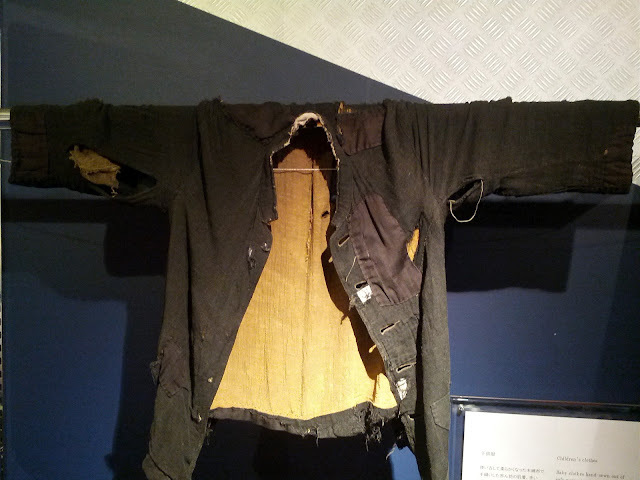 And that is so cool that you were allowed to touch the clothing - such a rarity.